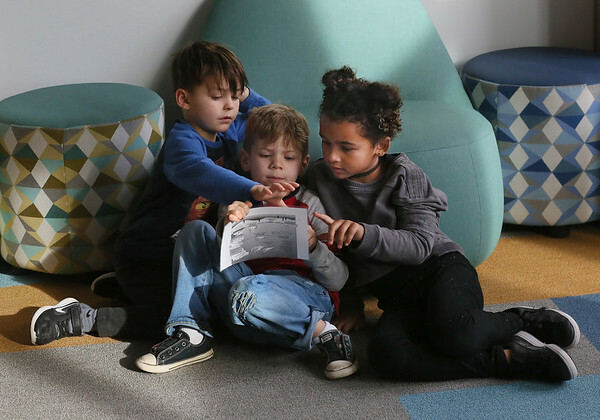 Students in Joan Klics' kindergarten class -- from left, Bronx Harnay, Lucca Dawes and Phoenix Curcuru -- work together as a team to read a cloud chart Thursday during a visiting presentation on meteorology at West Parish Elementary School. Barbara Stella of the Discovery Museum in Acton taught the children some basic scientific principles behind the weather. Afterward, she gave each student a weather observation kit and a free ticket to the Discovery Museum.